A new bill would allow Tennessee schools to add cameras to the outside of school buses in an effort to catch drivers who speed through stop signs. 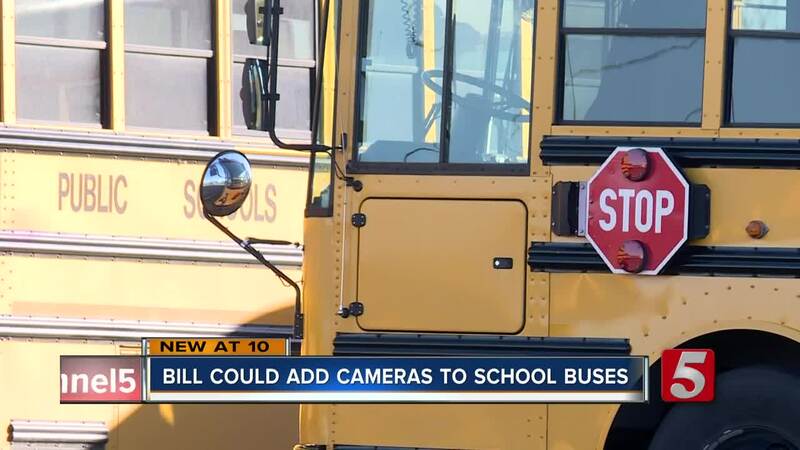 NASHVILLE, Tenn. (WTVF) — A new bill would allow Tennessee schools to add cameras to the outside of school buses in an effort to catch drivers who speed through stop signs. According to the law, drivers are not allowed to pass school buses at a bus stop. That includes, in some cases, cars going in the other direction. The school bus has a retractable arm with a stop sign on it, but drivers say not everybody heeds the stop sign. "We've all seen that car that ignores that stop sign," Rep. Jason Hodges (D-Clarksville) said. Hodges is co-sponsoring a bill that would allow schools to put cameras to the outside of the bus. Those cameras could catch drivers who speed through the stops. "It's obviously a problem that all of our districts face," Hodges said. "The bill we're proposing really leaves it up to the school districts on if they want to use the cameras, if they're having these issues. The districts themselves know what buses see this problem the most," Hodges said. It would be the school's decision on whether to install cameras and how many. If the cameras catch somebody speeding around a stop, that video would be turned over to the local police. The money from the fine would go back to the school, partly to help pay for the camera services. "The cameras would really deter people from doing this more," Hodges said. Some drivers told NewsChannel 5 they think the measure is an important step to protecting kids who are getting on and off the bus, but others worry about relying on technology like cameras to enforce the law. The bill is still in its earliest stages. If it passes, Tennessee would join 16 other states that have similar laws.